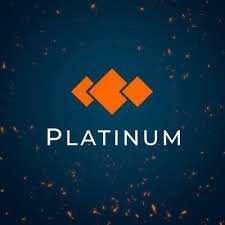 Tokyo, Japan, April 02, 2019 --(PR.com)-- One of the largest listing service providers, Platinum intends to launch a new stablecoin USDQ in the first half of April. USDQ will be decentralized, self-regulating, and backed by Bitcoin. This feature will allow the market participants to trade and make payments in popular cryptos without needing to be concerned about volatility. In contrast to usual cryptocurrencies, whose prices fluctuate, stablecoins try to hold their value around a specific asset, such as the US dollar, oil, gold, and others. Since the price of the stablecoins directly depends on the exchange rate of the asset, the volatility of stablecoins is significantly lower than other cryptocurrencies. This advantage increases the interest of the public to stablecoins and makes them an attractive payment instrument that can be used for settlements in daily life. One of the most important functionalities of USDQ is its transparency that will be provided by the scanner service. It will allow every user to monitor and check all the transactions, wallets, transaction time, how many Bitcoins are locked for each transaction and how many of them are stored in the system. The service will record and display any movements of tokens as soon as possible, which will help holders easily and smoothly manage their digital assets. Users will be able to acquire USDQ on the cryptocurrency exchanges. The value of USDQ 1 will be equal to USD 1. Traders will be enabled to interact not only with this coin but also with any others. To buy the stablecoins, people should register an exchange account and proceed to trade. The company plans to list USDQ on the following world's leading platforms in the first place: BTCNext, CoinBene, BitForex, CoinAll, and BTCAlfa. The second way to get USDQ is to receive a stablecoin credit through Bitcoin collateral. For this purpose, the buyer should visit the company's website, apply for the USDQ credit, leave the amount of Bitcoin collateral, and take USDQ amounting to USD 100. When the borrower transfers Bitcoins to the system, the smart contract prints new USDQ and sends them to the borrower. If the user wants to take away the collateral and return the credit, the user undergoes the appropriate procedure on the company's website. Bitcoins are sent to the borrower's wallet while USDQ tokens are burned. "We're striving to develop innovations in the cryptocurrency space in order to meet the demands of the crypto community. Stablecoins are a key element of the market, and we strongly believe that our USDQ will manage to strengthen and stabilize the market. We're confident that our stable asset will be in big demand and welcomed by both new and experienced users," the Platinum team stated. The company develops the decentralized stable asset, whose transparent nature allows it to be independent of any banks and other financial institutions. Every USDQ token is backed by Bitcoin and applies smart contracts that provide sophisticated cryptographic security. The breakthrough mechanism created by the Platinum specialists will help maintain USDQ stability.